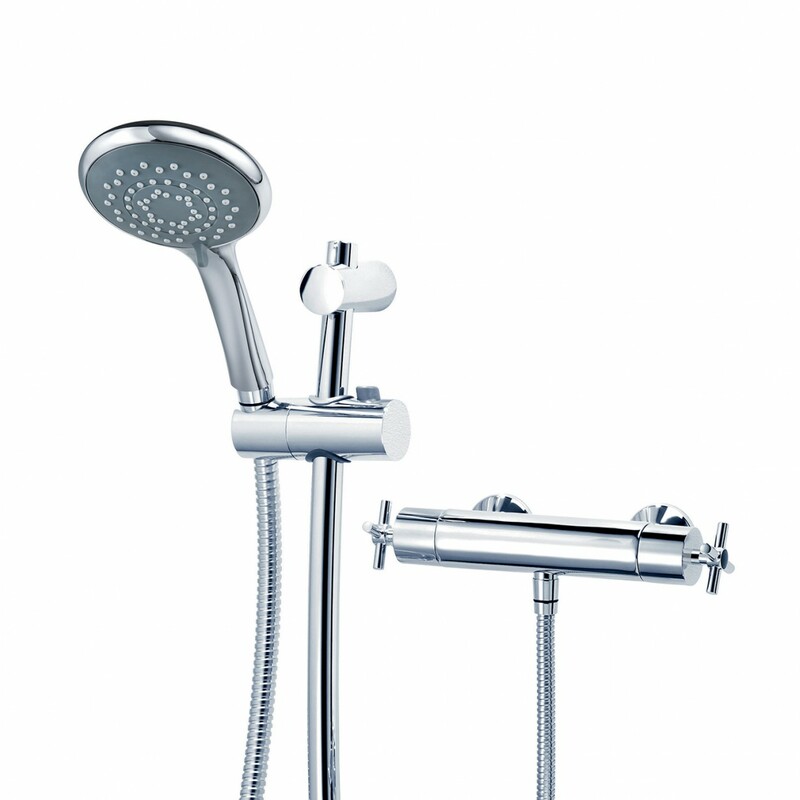 This premium thermostatic bar shower has a simple operation levers controlling temperature and pressure. Ideal fitment would be two pipes exiting directly out the wall straight into the inlet ports ...OR surface mounted chrome pipes down from the ceiling or up from under the floorboards. Supply and fit from £350 new pipe work included. Straight replacement swap with existing bar £267.